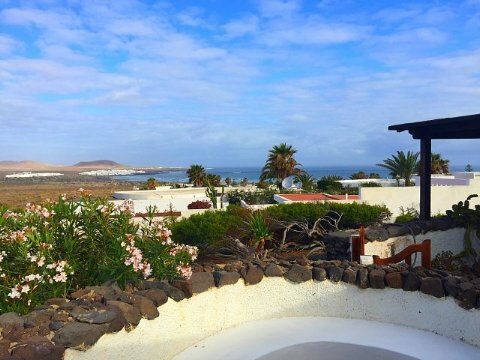 Famara is certainly one of the most impressive places of Lanzarote; one part formed by the romantic small town Caleta de Famara, on the other hand, the bungalow village Famara. 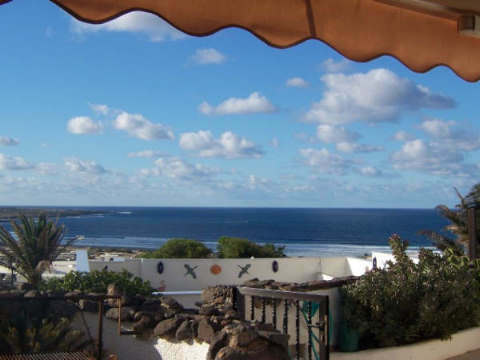 The most impressive, however, is the sandy beach, here are all 4 elements omnipresent: The wind, the surf and the Risco de Famara mountains mixed up with with the black lava of Lanzarote. The Famara Beach is a wild and beautiful beach, but not even a typical swimming beach! Read more here. Numerous surfers cavort here in the breakers, but the beach also invites to great walks alongside the Ocean, as well as to relax and to sunbathe. 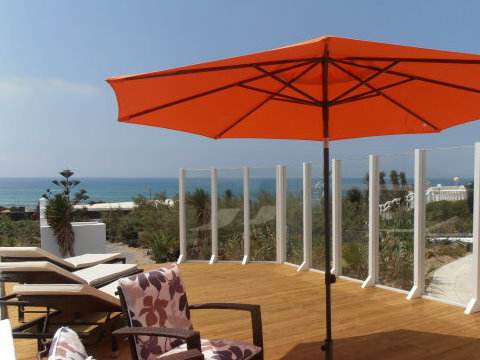 In the village Caleta de Famara there is also a protected bay at the pier. 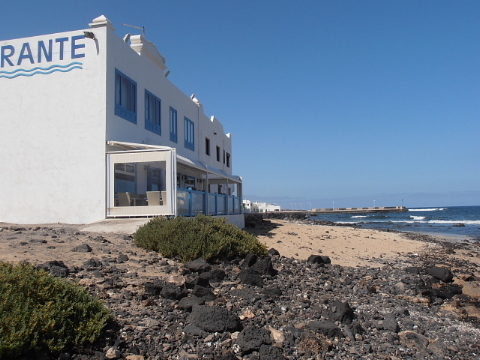 in Caleta de Famara are several small supermarkets. In the bungalow village Famara there is another, small supermarket, so to get anywhere on foot to groceries. 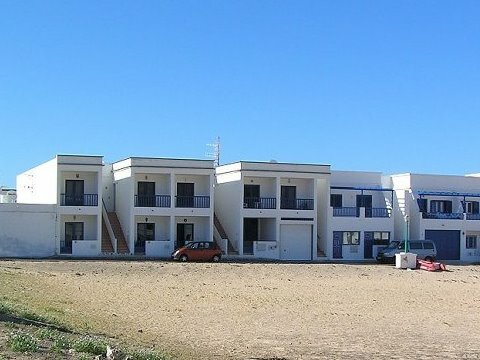 More and larger supermarkets (Euro Spar, Lidl) are available in Arrecife, about 25km away. 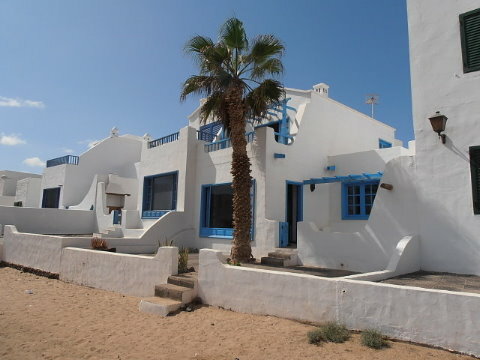 in the small village of Caleta de Famara there are several restaurants, bars and also snack bars. 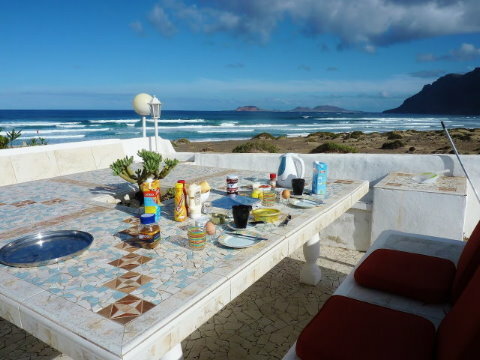 In the bungalow village Famara there is also a restaurant. 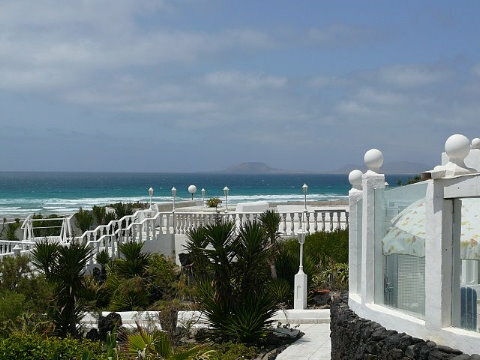 In Teguise (12km) you will find more local places to eat.